Due to the rapid innovation of blinds, several types were already out in the market. Different types at different prices. There are blinds that made of fabrics, PVC, wood and aluminum. It may be vertical or horizontal. But whatever it is, we know that all of them are very useful for us, what is important is to determine what kind of blinds that makes your home look sophisticated at the very affordable prize. Mini blinds are one of the most affordable blinds today. It is made of aluminum that makes it cheaper and easy to clean compared with the other types of blinds particularly with the blinds that are made of fabrics. With the use of mini blinds, you can also combine colors that suits for your walls and furniture unlike other blinds that requires only one color in a set. And in terms of the price, aluminum mini blinds or venetian blinds are cheaper than any other types of blinds. With this kind of blind, you could have an inexpensive stylish look for your home. Pictures were taken from our client in Paranaque City, Philippines. 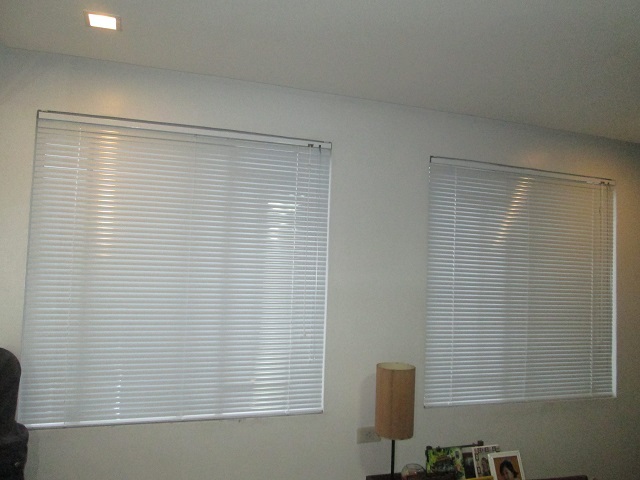 She preferred to use aluminum mini blinds rather than fabric made blinds for her room. As you can see in the pictures, it looks much suitable for her window and its color is also pleasant to the eyes. In DS Windows & Walls, you had the right to choose color or combine colors. You have the freedom to customize your own style and size. 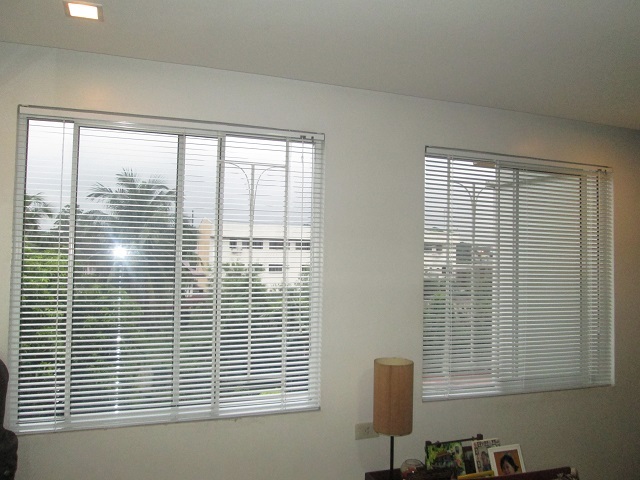 For more other window treatment, call us at (02) 403-3262 / 0916-311-3909 or e-mail us at inquiry@dswindows.com. You can also visit our showrooms located at 4th Level Waltermart Makati City, 3rd Level Robinsons Metro East, Pasig City and 2nd Level Pacific Mall, Lucena City. You can also visit our website at www.dswindows.com.